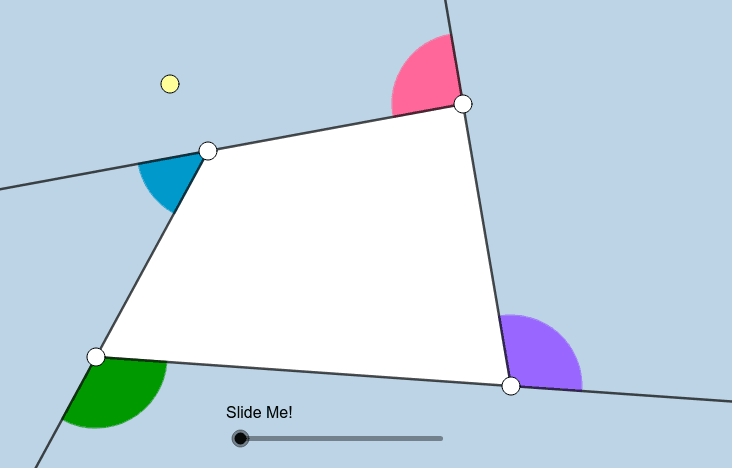 What seems to be true about a triangle's exterior angles? Describe what you see. Suppose the blue angle measures 120 degrees and the pink angle measures 140 degrees. What would the measure of the purple angle be? Note: For the polygons that follow (quadrilateral, pentagon, hexagon), these applets will work best if the polygon is kept CONVEX. If you don't remember what this term means, click here for a refresher. 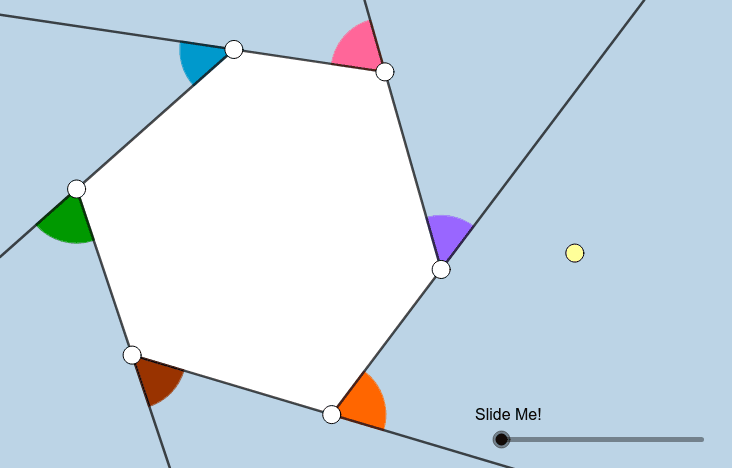 What seems to be true about a quadrilateral's exterior angles? Describe what you see. Suppose the blue angle measures 120 degrees and the pink angle measures 140 degrees and the green angle measures 100 degrees. 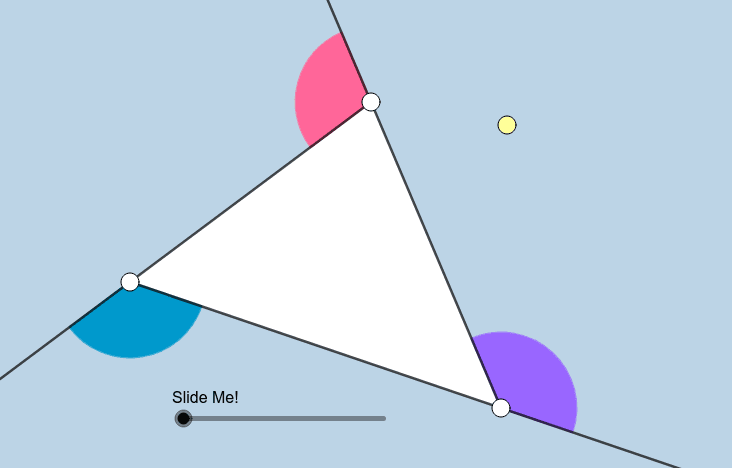 What would the measure of the purple angle be? 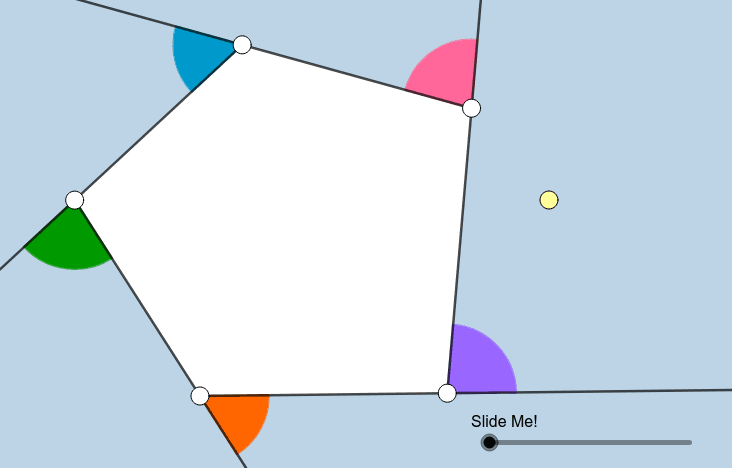 What can we conclude about a pentagon's 5 exterior angles? What can we conclude about a hexagon's 6 exterior angles? Describe the phenomena you observed.